VAT-registered businesses have just weeks to comply with HMRC’s new Making Tax Digital programme. In this issue of Headlines, we’re shining a spotlight on the subject and the help available to ensure businesses are ready to comply. But this update isn’t just about MTD – read on for more news and tips from HB&O. MTD is HMRC’s programme to introduce a digital tax system which will ultimately require most businesses, self-employed people and landlords to use digital software to keep tax records and update HMRC on a quarterly basis. VAT-registered businesses will have to submit digital VAT returns using MTD-compliant software from 1 April 2019. But MTD doesn’t have to be a burden on your business. There are various ways that your business can comply, including using cloud accounting software or other digital tools that can also help you manage your business finances. In our latest blog, we’ve highlighted some of the main benefits of going digital. MTD - are you eligible to delay your start date? VAT-registered businesses with a taxable turnover that exceeds £85,000 must comply with MTD from 1 April. You can also voluntarily enter MTD if you are VAT registered but your level of turnover is below the VAT registration threshold. However, some organisations may be eligible for an extension – or may even be wholly exempt from the scheme. MTD workshops provide sound advice for clients - have you booked your place? Over recent months, HB&O has been running workshops, to help clients get ready for Making Tax Digital. The workshops give clients an overview of MTD, a breakdown of the benefits of cloud accounting and a live demonstration of Xero cloud accounting software. The workshops are deliberately small so attendees have the opportunity to discuss their individual business needs and are run on a weekly basis, depending on demand. Our team has hosted over 15 workshops since November and the feedback from clients has been overwhelmingly positive. The workshops have offered an opportunity to iron out any barriers to going digital and have explained the wider benefits of moving to cloud accounting. You can read about the main benefits of making the switch to digital here. One of the attendees noted ‘The workshop offered a very useful overview and I now feel confident about using the right software for our needs’ while another expressed that the workshop provided ‘excellent advice’ for a small business owner. If you are still stumped by Making Tax Digital, book onto one of our free cloud accounting workshops – we’d be delighted to help. Every business should have access to a HMRC Business Tax Account whether the business operates as a sole trader, partnership or a limited company. As a lot of services are shifting to rely more on digital and/or cloud based communications with HMRC, it is now required that every business signs up and knows how to access their own Business Tax Account. 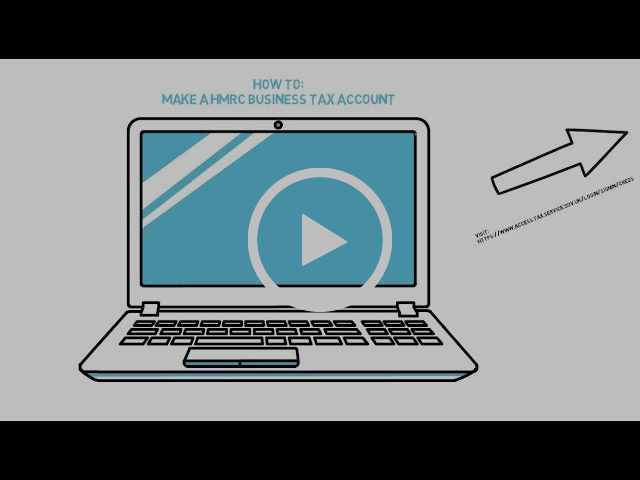 If you don't already have a Business Tax Account, we have prepared a short video which gives you step by step instructions on how to set one up. Once a Business Tax Account has been set up, it can be used for accessing a range of HMRC services including Customs and Excise Duties, Imports, VAT, Corporation Tax, Construction Industry Scheme, PAYE for Employers, EC Sales lists and Pensions for Employers. Please note, even if we are your authorised agents, your own personal account is still required in order to receive communications from HMRC which will no longer be sent to us as your agents. For more information, please contact Vanessa Glenn or Neil Allcroft. Spring Statement 2019: Business as usual? Hammond stuck in large part to summarising key points from the updated economic forecast from the Offce for Budget Responsibility (OBR). Though he presented the numbers with a fourish, the OBR was mildly pessimistic in its own presentation. The Chancellor used his 35-minute speech to hammer home the likely economic impact of leaving the EU without a deal - "significant disruption in the short and medium-term and a smaller, less prosperous economy in the long-term". HB&O Financial Services’ Independent Mortgage Advisor, Ian Chetwynd, has been named as a Top Rated adviser in a special report by Vouchedfor in The Times newspaper. Inclusion in the guide is based on independent reviews from clients collated by Vouchedfor. Thanks to a significant number of positive reviews, Ian has been recognised as one of the top mortgage advisers to help clients find the most suitable mortgage for their individual needs. Whether a client is looking to buy their first home, move up the property ladder, re-mortgage or release some equity, Ian has helped clients secure the best mortgage deal. Over 1,000 financial and mortgage advisers feature in the Guide, representing 723 firms across the UK. Thank you to all those who took the time to leave a review – it’s great to see Ian’s hard work recognised. If you’re on the look out for a new mortgage, read on for details of how you can enlist Ian’s help at a discount. HB&O has been shortlisted in the Communication Campaign of the Year category at the 2019 FirstPro Awards. HB&O’s shortlisted entry focuses on the creative and targeted approach we’ve taken to raising awareness of and supporting compliance with new Making Tax Digital (MTD) legislation. showcases the talent and capability of the professional and financial services sector in the region. Using striking visuals and clear messages, our highly targeted campaign has included blogs, social media and magazine articles to educate clients about MTD, while a direct mail campaign, supported by a series of small, focused workshops, has been employed to prompt action and help clients become MTD compliant. The winners will be announced at the awards dinner on Thursday 4th April at Coombe Abbey. Good luck to all the other finalists! Visit us as the #LeamBizShow19! As co-sponsors of the Leamington Business Show 2019, HB&O is exhibiting at the event on 27th March 2019. The event will be held at the newly renovated Royal Pump Rooms, with 80 exhibiting busineses, as well as demo's and seminars taking place throughout the day. Why not pop along to the event, between 9am and 3pm, and say hello? Register for your free ticket to the event here. for sport and encourage a healthier and happier lifestyle. Jason Strain, Lucy Talbot, Ian Chetwynd, Dave Stokes, Anthony Baynham, Alexandra Styles and Robert Dimbleby will all be running the half marathon so look out for some hopefully triumphant photographs after the event. To support the runners of the half marathon, HB&O Financial Services is offering a reduced standard mortgage arrangement fee from £295 to £99 when quoting ‘LHM19’ so if you’re in the market for a mortgage, get in touch with Ian Chetwynd on 01926 422292.
by HB&O. Last year saw the awards expand to enable businesses across South Warwickshire enter a new category, while two local charities collected £5,000 each after a record-breaking year of fund raising through the event. In 2019, organisation of the awards will be taken over by local businessman and former judge, Jonathan Smith. As founder of the Leamington Business Forum, Jonathan possesses a deep rooted focus on supporting the local business community and will be working closely with a team of Leamington based businesses to take the awards forward.